Creation. Gaming. Bring it on. 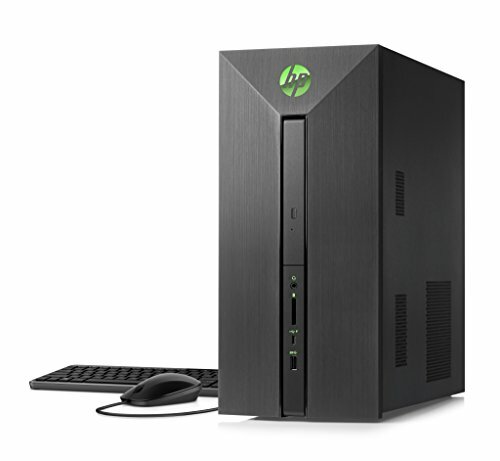 This HP Pavilion Power Desktop tower features the latest quad-core The Ryzen 5 features AMD Ryzen Master Utility technology for simple and powerful overclocking, as well as four cores and eight threads for seamless gaming. Enter the world of virtual reality with AMD Radeon RX 580 graphics which deliver amazing HDR experiences, silky-smooth 1440p gaming, and enhanced Polaris architecture. Windows 10 home 64, Dimension:6.5 x 14.88 x 14.33 in; ENERGY STAR certified | 1-Year UpgradePro Limited Warranty* | View description and warranty section below for more details.